Designed for Cutting Edge 2015! It's time to Meter your Journey! 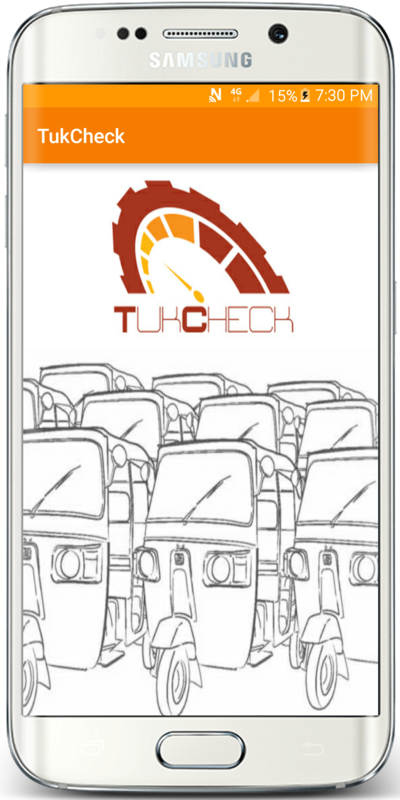 TukCheck has been designed with the well being of the average Tuk-taxi service customer in mind. If you wish to share your opinion with the rest of the TucCheck community you can submit a review/report and share your thoughts on the journey. There is also a method to generate the Shortest Distance between two points, so the user can easily get the shortest path. The Homescreen contains buttons to the main app functions. 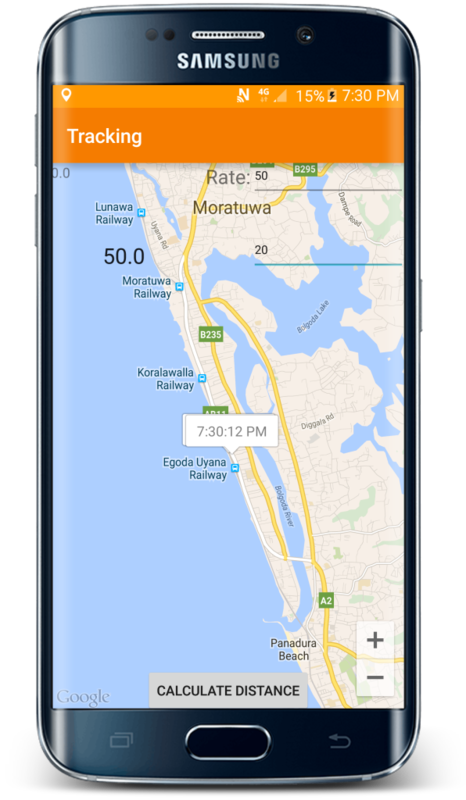 Track – The user can Track his journey and get the distance and the price by using this Option. 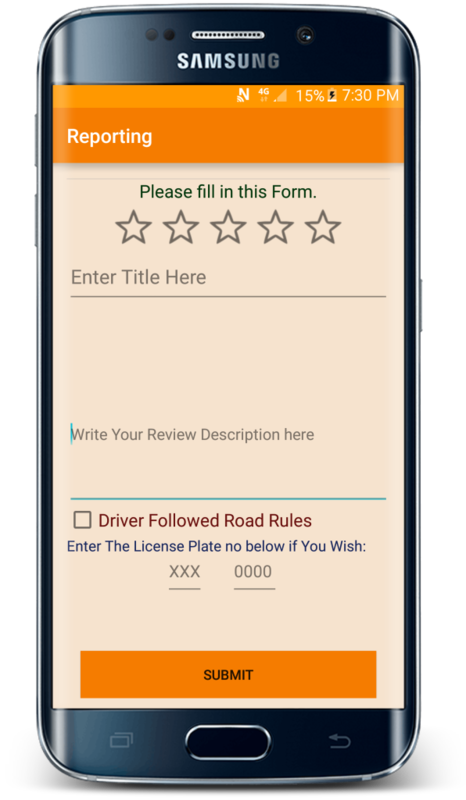 Report – The user can submit a review or a report on a driver by using this Option. Shortest Distance – The user can get the Shortest Distance between 2 points by using this Option. You can easily Track Your Journey, and get the Path, Distance Travelled and the Amount you have to pay the Metered Tuk Tuk. This way you can see if the Driver is Cheating. You can use this on Any TukTuk or Taxi Service Worldwide! To use the tracking feature, First open the Tracking section and then Enter the amounts. The 1st field is for the user to enter the rate for the 1st KM, and the 2nd field is for the user to enter the rate after the 1st KM. Once this is done, just simply hit on “Calculate Distance” and see the app suggest the Distance and Price throughout the journey. App is made in a pretty intuitive way for anyone to use. 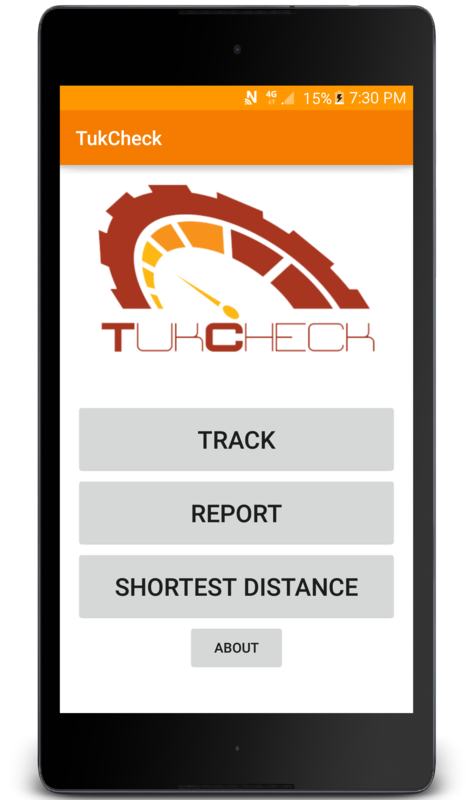 With TukCheck, we are allowing users to Rate and Review Tuk Drivers. Easy Star Rating is available right on top, followed by a Text based comment, and an Option to Enter the TukTuk License Plate number. Since we have all seen/faced drivers who are horrible at driving, and Drivers that offer a terrible service especially with TukTuks you can easily report the Bad Drivers. We will be maintaining our own Database, and we will be providing it to the relevant authorities. This is optional, but if the user has a Positive or Negative comment, this way they can provide it so that the TukTuk drivers will improve their service. 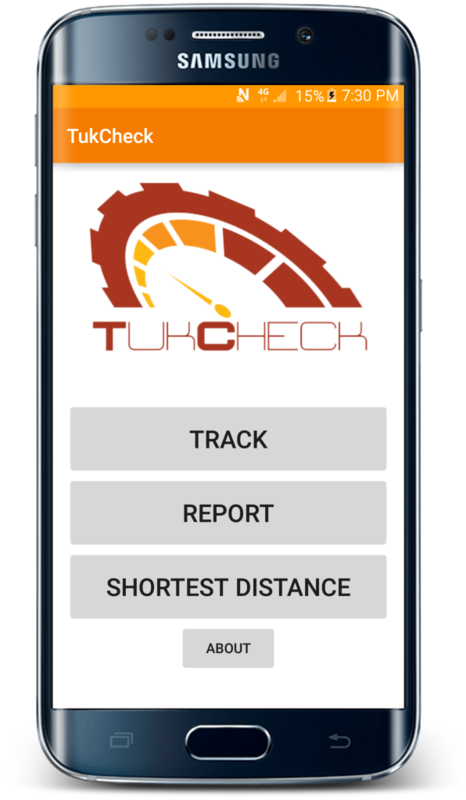 TukCheck allows you to generate the Shortest Distance between 2 points. This way you will know what the shortest distance is, so that the Tuk Driver can’t cheat on you. This will come handy specially to foreigners, or local users who are not so certain about the place they are travelling. To try it out, First, Open the Shortest Distance section of the App. Now select the place where you are and then select the place you want to go to. Once this is done, The app will suggest the distance, and the Approximate Time it will take you to go to the desired location. It’s easy and simple, but very useful! Designed with the Latest Material Design Standards by Google with an Elegant Design. The App Supports all Android Devices running Android 4.1 Jelly Bean and up to the all new Android M Developer Preview. The app is totally free for Anyone to Download and try! It is also AD Free!